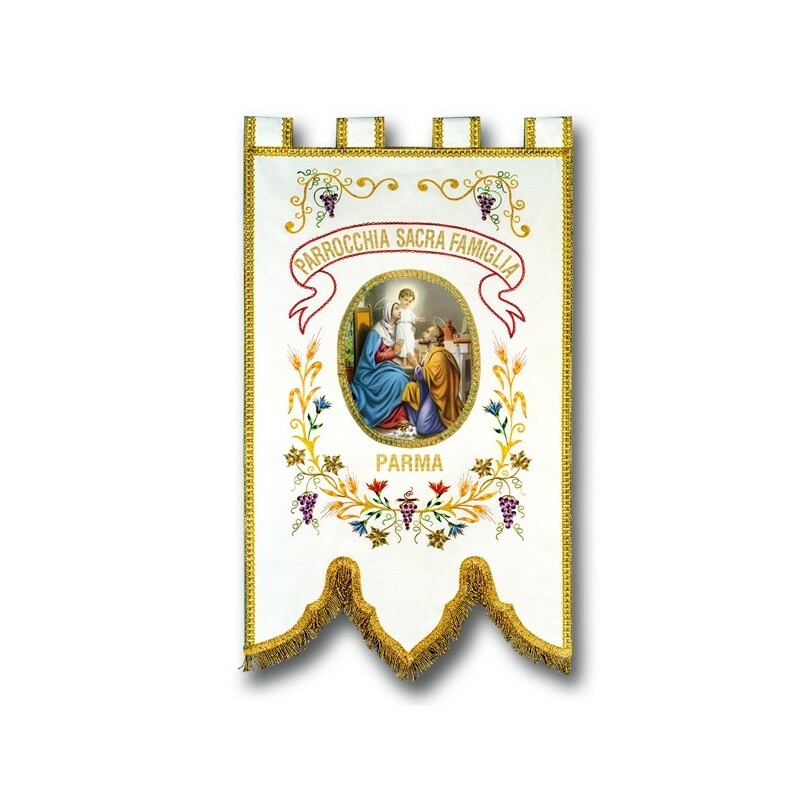 Processional standard with machine embroidery. Made in Italy. 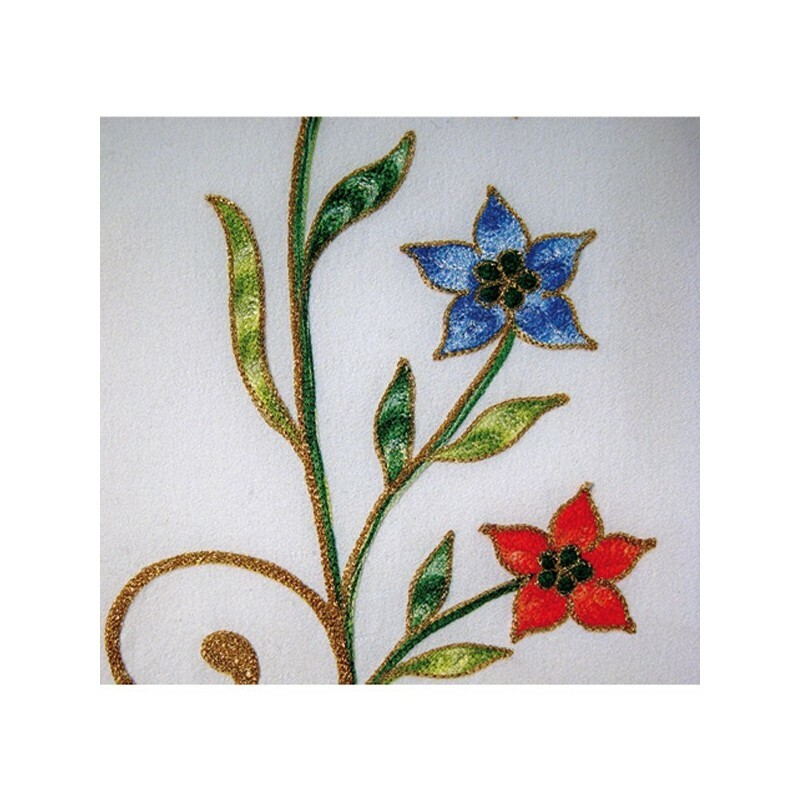 Processional standard with machine embroidery. 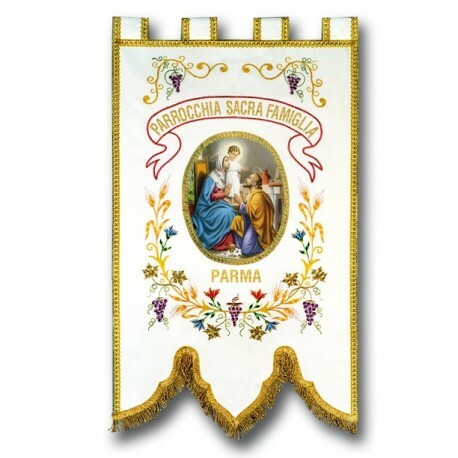 User adjustable with images or lettering.